In Flann O’Brien’s comic novel The Third Policeman, the scholarly philosopher de Selby examines a set of old films. He comments are that they are ‘tedious’ and that they have ‘a strong repetitive element’. But de Selby was ignorant of the nature of film projection, so he imagined that each frame would be displayed, one by one, at the speed at which he himself had examined them. Now a combination of technological developments presents us with a different phenomenon – the urge to view gradual processes as speedy, when rendered by time-lapse photography. The coming together of cheap, programmable cameras, low-cost tripods, easy-to-use software for photographs and movies, and outlets such as Youtube has made the time-lapse sequence, once a labour-intensive, rarely-glimpsed, even auratic, genre, into one of the great banalities of Web 2.0. The predominant aesthetic has a narrow range: from corporate funky to grey-souled Silicon-Valley aetherialism. If the most infinitesimally slow processes are routinely rendered as moving images, who has the patience for this kind of picture? Only a still image such as this can produce a sensation that is far less thrilling than wonder, but more powerful for all that. 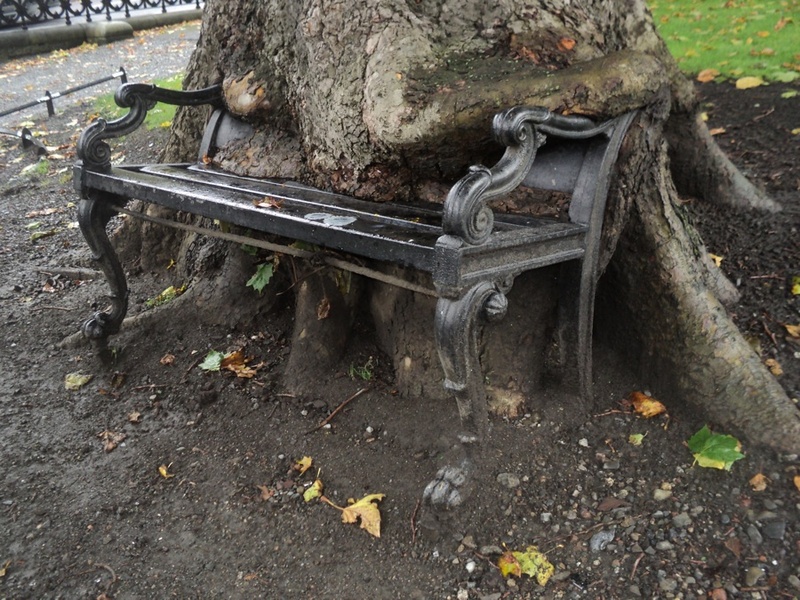 The grotesqueness of this tree consuming a bench may just be due to its torturously slow speed. The process of change cannot be blithely skimmed through. Instead, we have to be alive and be dying with the bench and the tree. 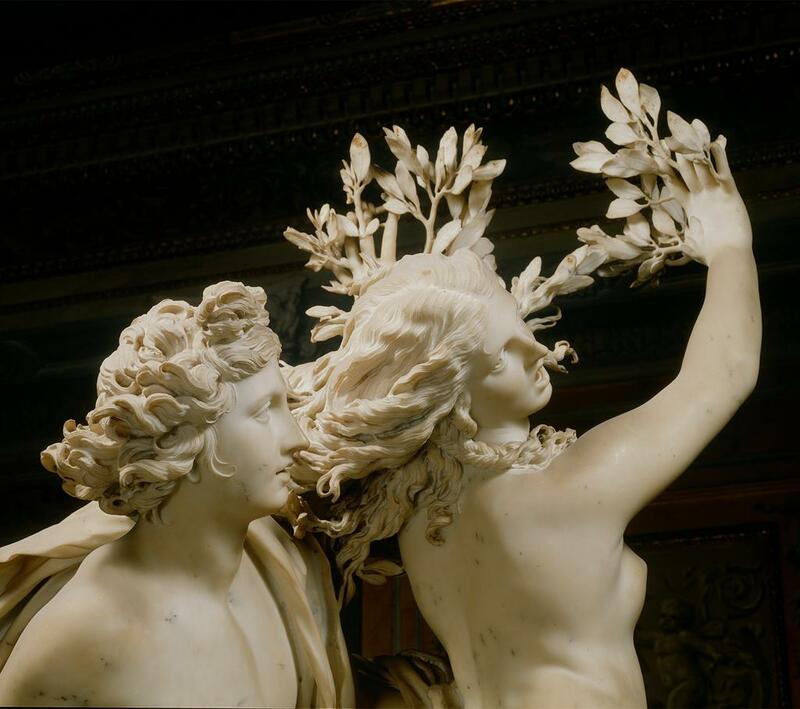 This is uncanny stuff, a stabilized instability, just as in Bernini’s sculpture of Apollo and Daphne, where Daphne is in the process of being transformed into a tree. Incorporation is a slow business. Monsieur Mangetout, a childhood hero of mine, used to eat glass and metal objects by chopping them into tiny pieces and ingesting them one by one. Among many many objects, he ate eighteen bicycles, each one clipped down into tablet-sized pieces and washed down with an oily lubricant. I remember one TV show where they showed a moving x-ray image of his oesophagus and stomach as the parts inched tinily through his system. The pace of the process made it all the more fascinating. Fascination used to be a slow business too. De Selby’s naivete in The Third Policeman is occasionally balanced with flashes of brilliance. He has a wonderful feel for the methodical, for the eventual, resulting in inspired theories such as that of the mollycules (= molecules). In a novel full of bicycles, this theory suggests that prolonged contact between a bicycle seat and a human backside will, through time, result in the accretion of bicycle mollycules by the cyclist. In the end, the cyclist will have become more bicycle than human. You might say it’s pathetic, poetic, non-stop, periodic, bathetic, entropic and … off-topic.